BRUSSELS, May 27 2015 (IPS) - “Four decades of existence is a milestone for the ACP as an international alliance of developing countries,” Dr Patrick I. Gomes of Guyana, newly appointed Secretary-General of the African, Caribbean and Pacific group of countries, said at the opening of the 101st Session of the group’s Council of Ministers. “With the organisation currently repositioning itself for more strategic engagements with regards to its future, this is an opportunity not only to review the past, but also to project to the decades ahead, especially in terms of how to be effective and better respond to the development needs of our member countries in the 21st century,” he added. 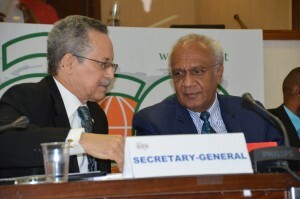 The meeting, which opened May 26, brought together more than 300 officials from the ACP group who are determined to put an emphasis on re-positioning the ACP group as an effective player in a challenging global landscape. At the group’s 7th Summit of Heads of State and Government held in Equatorial Guinea in December 2012, the group issued the Sipopo Declaration which noted that “at this historic juncture in the existence of our unique intergovernmental and tri-continental organisation, the demands for fundamental renewal and transformation are no longer mere options but unavoidable imperatives for strategic change”. A key focus of the 40th anniversary is how to enhance regional and intra-ACP relations in order to better position the ACP group to deliver on development goals in the post-2015 era, starting with playing a decisive role at the Third International Conference on Financing for Development to be held in July in Addis Ababa, Ethiopia, as well as at the U.N. Summit on the Post-2015 Development Agenda to be held in New York in September. For ACP Secretary-General Gomes, the most critical meeting for the group will be the 8th ACP Summit, which had originally been scheduled to be held in November in Suriname before that country had to withdraw due to multiple commitments. More importantly, that summit would provide the strategic direction and financial commitment necessary to build the capacity of the ACP group to address the development needs of its populations. He said that the ACP is finalising a position paper to be presented in December at the U.N. Climate Change Conference in Paris, as well as at the 10th Ministerial Conference of the World Trade Organisation (WTO) in Nairobi in December. Participants at the Council of Ministers meeting agreed that the plethora of priorities facing the ACP today calls for widening its partnership with the European Union and beyond, embracing the global South as well as emerging economies with greater determination, and promoting South-South and triangular cooperation. 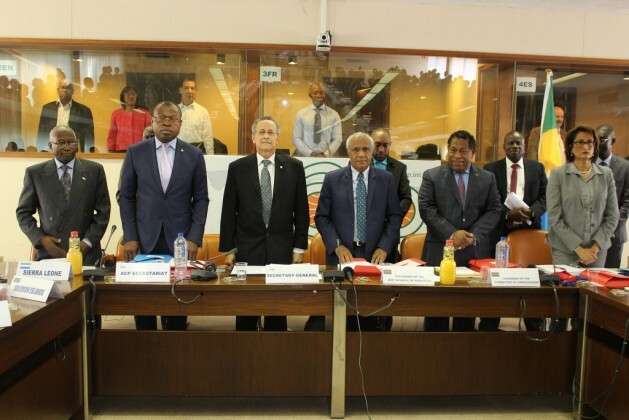 The Cotonou Partnership Agreement which currently governs relations between the ACP and the European Union expires in 2020 and the ACP Secretariat has commissioned a consultancy exercise to formulate the ACP Group’s position future relations with the European Union. The ACP-EU Joint Council of Ministers, which meets May 28, is expected to place a special focus on migration and discuss recommendations from an ACP-EU experts’ meeting on trafficking in human beings and smuggling of migrants following the unacceptable loss of thousands of lives in the Mediterranean Sea as people try to reach Europe.